August 2012 - Take a day trip! 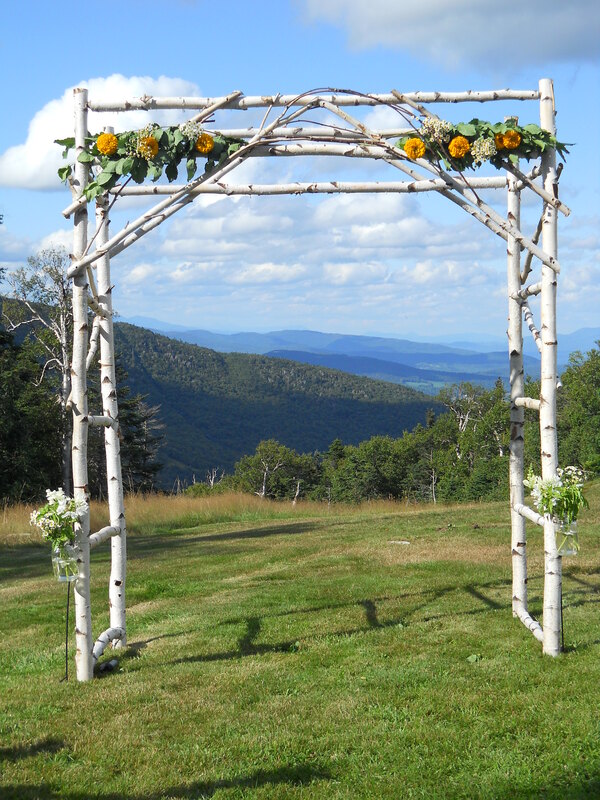 New England’s a great place to get hitched! One of the fun things about exploring New England has been being a guest or bystander to some great weddings in some very different locations. Two recent weddings come to mind. One was last weekend on Easton’s beach in Newport, RI and the other was almost exactly a year ago on top of a ski lift at Sugarbush Resort in Vermont. The contrast between the two shows just how diverse the landscape in New England can be. 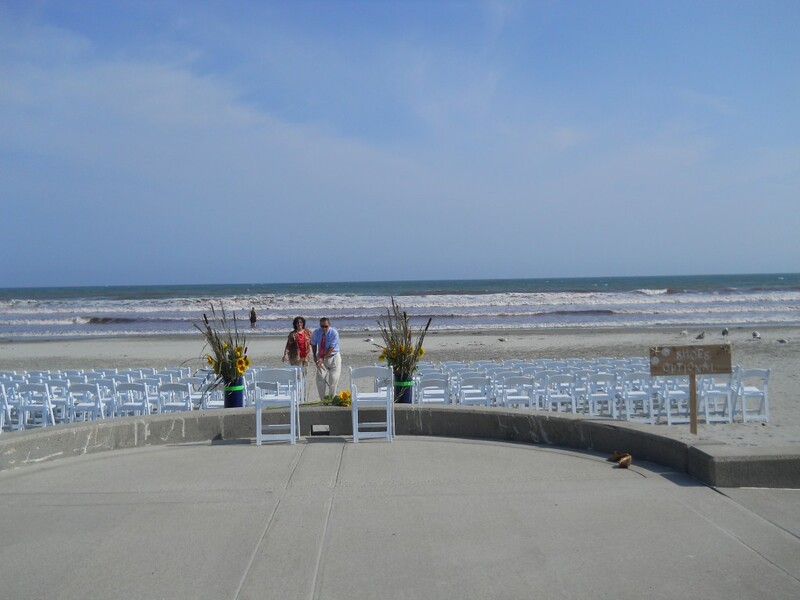 The wedding I had the pleasure of seeing last weekend was on Easton’s Beach in Newport. It was setup right off the boardwalk and had the Atlantic Ocean as it’s backdrop. It was stunning and took great advantage of the amazing beauty of Newport to make a great day even better. Setting up for a beach wedding in Newport. I was lucky enough to be a bystander at this wedding however I was a guest at another great wedding right down the road at Colt State Park in Jamestown, another great seaside location with dramatic views. A wedding I attended last year was a totally different location but just as jaw-dropping a backdrop as the beach in Newport. This wedding was held mid-mountain at Sugarbush Resort in Vermont. A mid-summer wedding looking out over a lovely mountain valley in the middle of Vermont makes for an unforgettable wedding experience, especially when you’re riding a ski lift in a suit!! Both of these places show just how diverse New England is and all of the amazing places within the 6 relatively small states that comprise it. It’s amazing to look at the two photos of these wedding spots and realize that you can visit both in the same day as they’re only about 5 hours apart! So, about the previous hiatus…. I’ve added in a “Great Activities” page to look at all the places up here by what you can do there, not just where they are. I’m still dividing it by region but I wanted people to be able to pick a place to go based on what they want to do. I’m thinking about adding in a small store component for people who might want a sticker or something else to with the sites logo. I’d basically be selling at a little above cost to cover shipping and handling. I might start creating some items that showcase local parks and places as well. I’m not sure about this, if you have an opinion one way or the other (and a reason), I’d love to hear it! I’ve also got a ton of photos, some of them I think are even pretty good, of the various places I’ve been hiking and traveling to. Depending on what you think I’m wondering if some of them might be things people would want to buy. With the understanding that I’m an amateur hack of a photographer who is heavily biased towards landscapes, I figure it can’t hurt to try it, right? There are also a lot of great books and other resources out there that I’ve used over the years to find some great spots to explore. I was thinking of creating a page to call these items out. So, other than the ‘Great Activities’ page I haven’t started working on any of this other stuff yet and I might not do some of them, however that’s where my thinking at present is going. I hope you are all enjoying some of the places profiled here and I’m hoping to get a few more up soon to give you a few more ideas of places to explore. Happy Trails!! !